A Trip To… Pumpkin Week at Secretts! 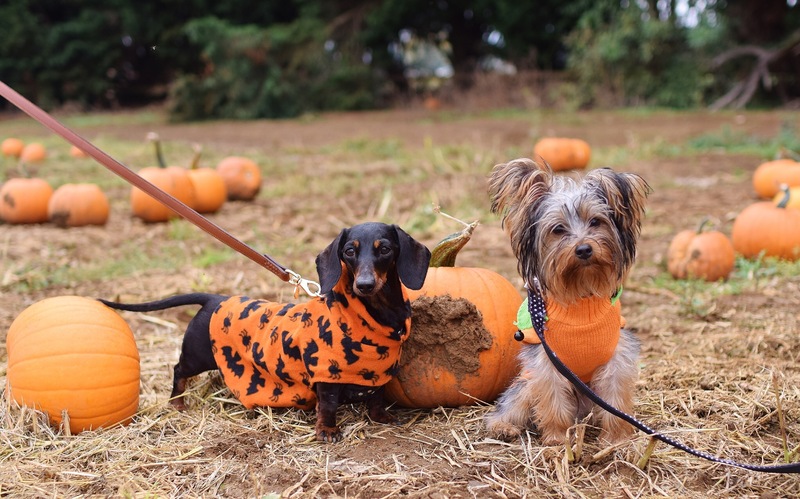 Yesterday us lucky pups were able to visit the Pumpkin Patch at Secretts Pick Your Own with our bestie Tilly. Not only did we get to go and choose a pumpkin (or four) but we also got to meet Winnie and Archie from Archie’s Great Adventures and their humans. All five dogs got on amazingly which was extra impressive considering they were all on the lead for the whole trip. The only time we had a little hiccup was when Winnie got too close to my pumpkins. And no, that’s not a euphemism. We were really impressed by how dog-friendly the site was, well behaved dogs on leads were more than welcome, the only thing we were not allowed to do was ride on the tractor! Of course, the five of us drew quite a crowd with the other guests, especially Winne and Archie in their Halloween jumpers! We got lots of cuddles from all the little humans after we had chosen our pumpkins and had a throurally lovely visit. There was loads going on for all the little humans that were visiting; tractor rides to the pumpkin field, mini tractors, face painting, biscuit decorating, hay bales to play on, it really was set up for the perfect family days out. There was also plenty of tea and coffee, and even pumpkin soup, for the grown-ups. We didn’t see any other dogs but we think this is because people were not aware that they were allowed to bring the furry members of their family with them! We love places that allow the whole family to have a day out together and, for that, Secretts gets a big paws up from us! 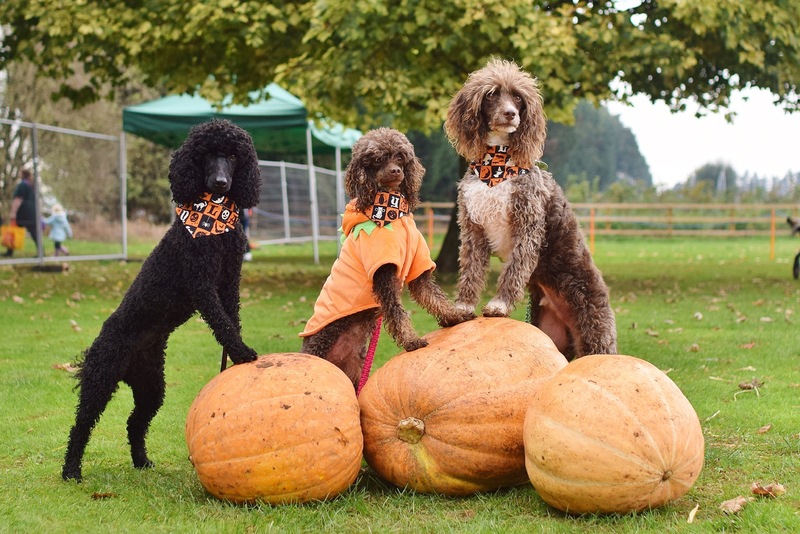 Featuring bandanas from Mabel & Mu (black and orange Halloween print) and Dogs Best Trend (pumpkin design). Might be a little biased but yes they are! Already changed for you! Sorry about that!